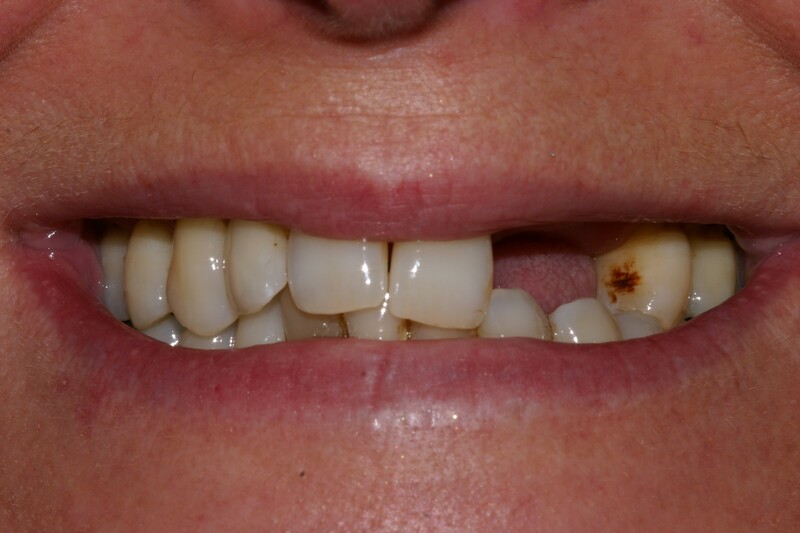 Theresa had loose upper teeth and discoloured lower teeth. She just wanted to smile again without feeling embarrassed. 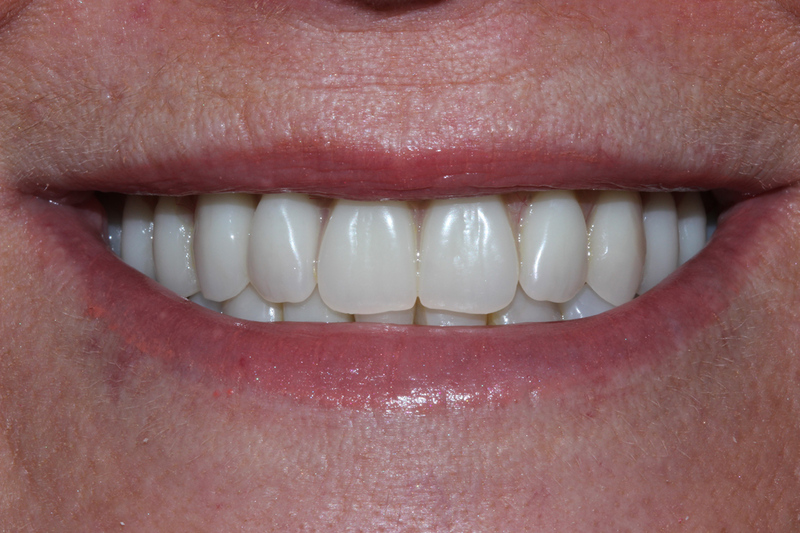 We placed implants as a fixed bridge on the upper arch and crowns on the lower arch. A great result with the teeth really in proportion.